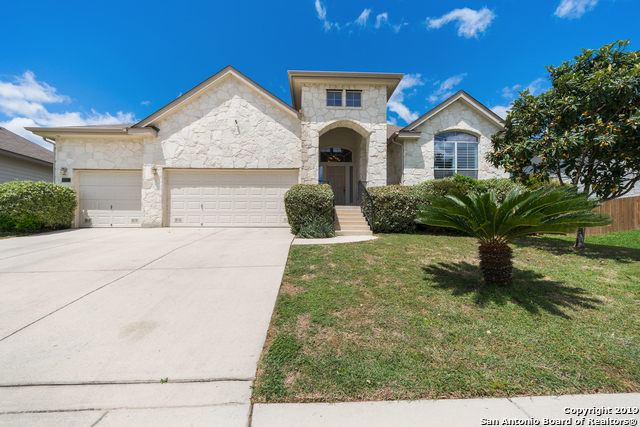 All Wildhorse homes currently listed for sale in San Antonio as of 04/25/2019 are shown below. You can change the search criteria at any time by pressing the 'Change Search' button below. "Looking for that perfect forever home? Look no further! This home features a split floorplan w/master & 2 bdrms down, along w/ formal dining rm, office/study & eat in kitchen w/ island, tile backsplash & tons of cabinet space. Upstairs is a fabulous retreat, complete with bdrm, full bath, huge game rm and additional flex space. Custom wood plantation shutters thru out. One of the biggest lots in neighborhood. Brand new water heater, solar lights, smart thermostat & prewired for security cameras "
"Gorgeous 1.5 story with Open Floor Plan makes for a Perfect Family home. Master Bedroom & 2 additional Bedrooms located downstairs, Huge Game Room and 1 Bedroom and 1 Bath Upstairs. Formal Dining Room~Office~Kitchen is spacious with plenty of storage, Granite counters, SS Appliances. Amazing updates with new wood-like tile floors, new carpet, fresh paint, new cabinets and counters. Covered Patio with a nice backyard. Enjoy the Neighborhood Pool and Park. Great Schools & convenient to shopping. " "Outdoor Delight... Spacious Open Floor Plan, Stone Gas Fireplace, Mother-in-Law Suite Downstairs w/Private Bath, Tile and Wood Flooring at Main Level, Crown Molding at Formal Dining/Office/Family Room/Kitchen, 9' Ceiling at Main Level, Vaulted Ceiling at Master, Walk-In-Closets at all Bedrooms, Solar Screens at all Windows, High Efficiency A/C units, Radiant Barrier Roof Decking, Stainless Steel Appliances & Large Walk-In Pantry, Inviting Patio is Great for Entertaining & Overlooks Greenbelt... "
"This beautiful home is a must see! Perfect for families. 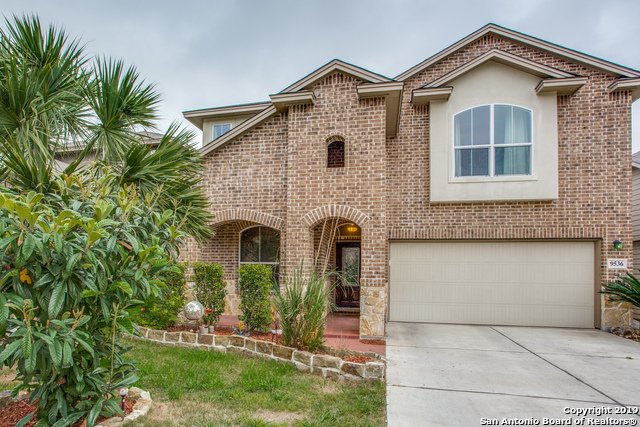 It has 5 bedrooms and 3 1/2 baths with beautiful tile and wood floors. The solar window screens and plantation shutters are a lovely addition. The internal vacuum and extra storage in the 3 car garage are great additions and the kitchen refrigerator conveys. 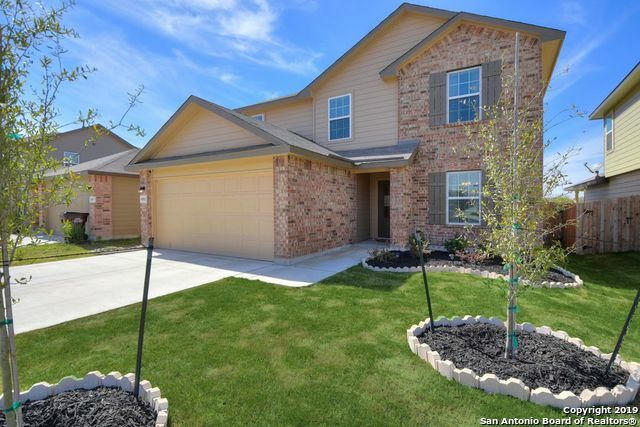 Located near 1604 provides easy access to La Cantera and the Rim shopping center." 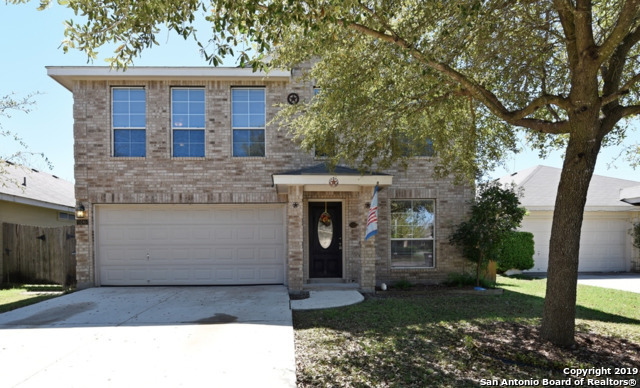 "Pride of ownership in this gorgeous 4 bedroom, 3 & 1/2 bath home, Priced UNDER BCAD Open floor plan designed with the island kitchen that opens into the eat-in area, which flows perfectly into the living area. Master bedroom located downstairs, large walk-in closet and spa tub. Large game room, media room and a tropical oasis patio area that's great for entertaining. 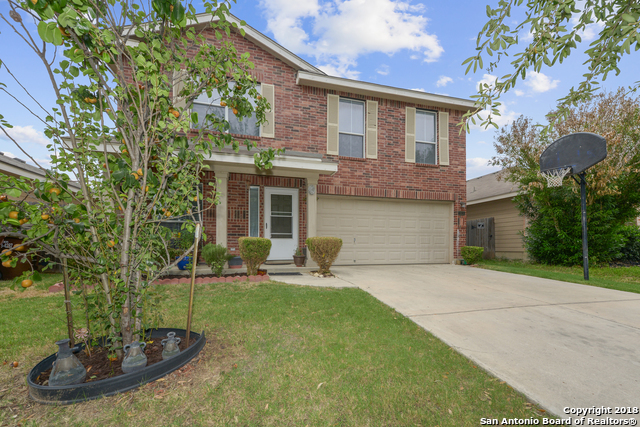 Easy access to 1604, schools and shopping centers." "Exquisite family estate showcasing open spaces & chic accents.Abundant natural lighting fills the home&the exceptional floorplan include a large master retreat.True quality&boasting gorgeous tile floors,decor paint&gourmet kitchen w/large granite island,extensive cabinetry&stainless steel apps.Four spacious guest bedrooms up&perfect spaces for entertaining up w/large game room.Serene outdoors w/large covered patio&pristine landscaping.Great neighborhood amenities to include pool&playground." 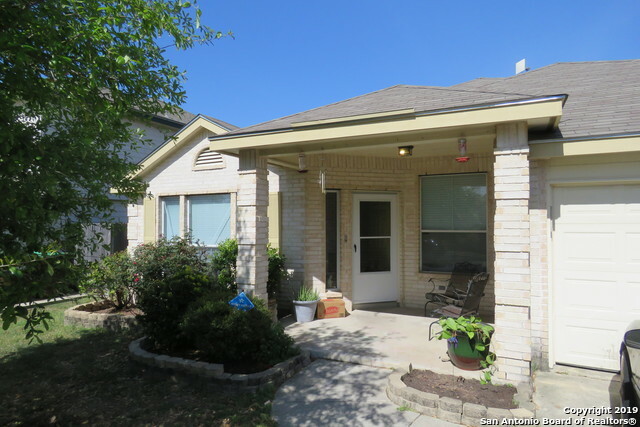 "Located in the prestigious Wildhorse subdivision. This 4 bedroom, 2 and a half brand new home boosts it all. High ceilings in the living room with a master down. Large covered patio in the back is great for entertaining and grilling with friends. Sprinkler system for easy lawn maintenance. All builders warranties convey to include appliances. Seller financing available." "Look NO FURTHER! Beautiful home in Wildhorse which is easily accessible. This home boasts a large covered deck and mature landscaping. It has hardwood laminate and crown molding in the living room. There is a large upstairs master bedroom with french doors and a closet the size of a secondary room. The master toilet has a privacy door. Separating the master bedroom from two good sized secondary rooms is a second living space and extra linen storage. 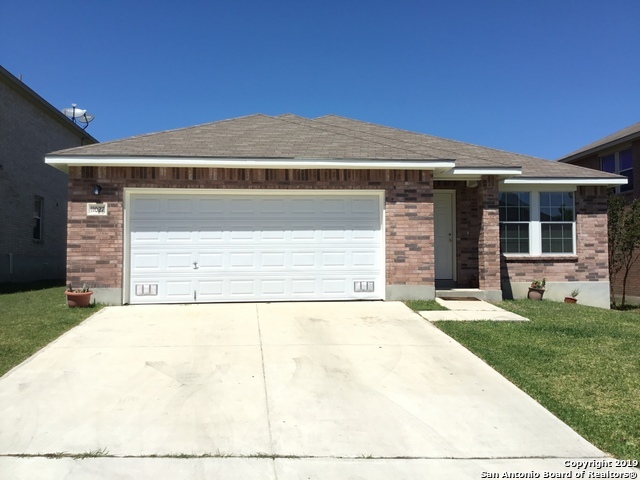 Plus a newer hot water heater, roof, and H"
"This San Antonio two-story offers an island kitchen, a walk-in closet in the master suite, and a two-car garage. Home comes with a 30-day buyback guarantee. Terms and conditions apply." "Freshly painted interior make this large single story Wildhorse home light & bright. Priced below market value to allow buyer to add their finishing touches. One of the largest single story floorplans with neighbors on only 1 side. 10 Solar Panels, Roof replaced 2016. Hot water heater replaced 2017. Add your updates and make this home your own"
"**Special Financing Terms Available! Skip The Lender Fees & Save Thousands With Zero Plus Loan Options Exclusive to KW Listings. ** Location has it's perks! Amazing HOA features include multiple pools, covered playscapes, dog park, sports court, bbq pits, trails plus great schools. Owner added many fruit trees just outside your door that you can't find with any new build anywhere. Home is exceptionally clean w/designer colors & arched entryways. 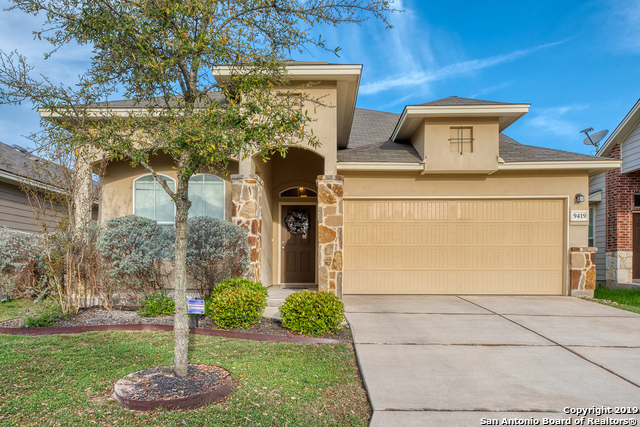 Easy commute via Loop 1604 & nearby Highway 151." "Desirable one story in Wildhorse subdivision, located in a cul - de - sac ~ walking distance to Krueger elementary. Tastefully updated to include New plank flooring installed throughout common areas (2018) & newly Remodeled Master Bathroom - custom frameless shower and tile. Updated light fixtures throughout New HVAC unit (2019) Neutral paint colors freshly painted in rooms. Great location for shopping and schools. Great neighborhood for families!!" "BEAUTIFUL SINGLE STORY FOUR BEDROOM HOME LOADED WITH RECENT UPGRADES * UPGRADES INCLUDE INTERIOR PAINT, PORCELAIN FLOORING, ELEGANT LIGHT FIXTURES, WATER FAUCETS & WATER HEATER * GORGEOUS KITCHEN OFFERS NEW GRANITE COUNTER TOPS WITH LIGHT GRAY CABINETS & NEW APPLIANCES * SPACIOUS MASTER INCLUDES UPDATED DOUBLE VANITY BATH & LARGE WALK IN CLOSET *2 YEAR OLD HEAVY COMPOSITION ROOF*WATER SOFTNER STAYS*ENERGY EFFICIENT RADIANT BARRIER DECKING*LARGE BACKYARD W/COVERED PATIO & ADDITIONAL SLAB*GREAT HO"
"Spacious 2 story home located in the desirable family-friendly Wildhorse neighborhood off of 1604 and Braun Rd Property sits tucked away at the end of the street near the cup-de-sac. Large deck and also a storage shed out back. Neighborhood has pool, playground, and sports court. This is a GO and SHOW!" "One story home located in desirable location of Wildhorse. 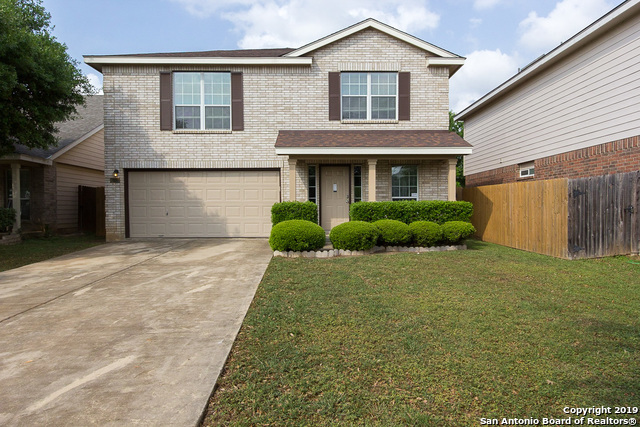 Home features a 4 bedrooms; 2 full baths! Open layout great to entertain family and friends. Kitchen offers plenty of cabinet space, electric stove and dishwasher. Master suite has its own bath with a walking closet. Level lot! Must come see!!"